This is a story about Utah Hispanic Chamber of Commerce members and local business owners. It’s part of a GOED initiative to share success stories about Utah’s homegrown businesses and entrepreneurs. 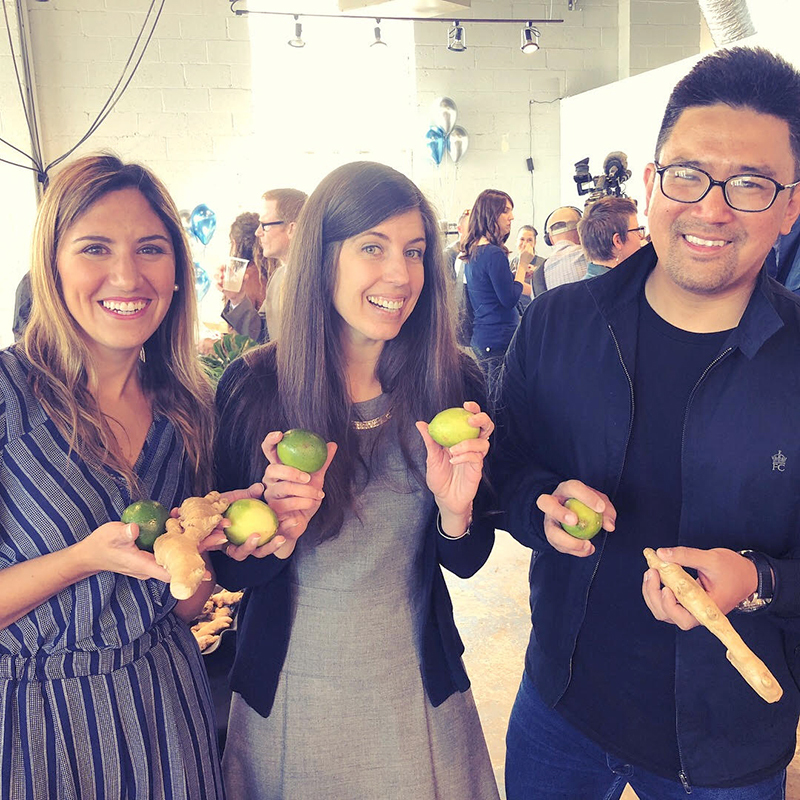 When Ana Valdemoros and Tham Soekotjo, the founders of Square Kitchen, launched the company this past May they wanted it to be more than just another incubator kitchen. Their goal was to give small local food producers a place where they felt at home and could grow into something more while spreading their wings. They were able to get the business off the ground because of a grant they received from the Salt Lake City sustainability office, where their winning proposal beat out thousands of others. The idea for Square Kitchen came from their “soft hearts” for the west side of Salt Lake City. Working in the Salt Lake City Planning Division, Valdemoros recognized the need for revitalization and economic development efforts on the city’s west side. They both can relate to the fears immigrants can have about starting a business. They’re a long way from home, Valdemoros is from and Argentina and Soekotjo is from Indonesia. The dynamic duo loves the pay it forward mentality. “A lot of people helped us out with our small business, and now we do the same for others. People in Salt Lake City have been very supportive and welcoming, and we want to do the same thing for whoever we can help out. We want to help people explore their ideas,” Valdemoros says. Valdemoros appreciates how easy it is to open and operate a business, and how enthusiastic and supportive everyone is. “The Utah culture is very supportive of new businesses, and that makes all the difference. Utah has the infrastructure and the community to help small businesses succeed. It’s a winning combination that has made all the difference for us,” Valdemoros notes. Square Kitchen currently serves 52 clients. They’re also supporting a local nonprofit by providing meal prep services. Square Kitchen has kitchens, a business center, office and event space. Soon, they’re planning to open a gluten-free room.